I heard about the power of compelling verbs first from Ralph Fletcher in a visit to the Garden State. He explained that well-intentioned teachers encourage their students to use numerous adjectives to create interesting prose, which leads to detail-sodden writing which drags under its own weight. Simply unnecessary. In Ralph’s own words, “Nouns make the pictures, verbs make the pictures move.” (See my enthusiastic endorsement of a recent book by this author at the bottom of this post). Flash forward to the New York State Reading Association (NYSRA) Annual Conference held in Saratoga Springs, New York (one of the best conferences I’ve ever attended). 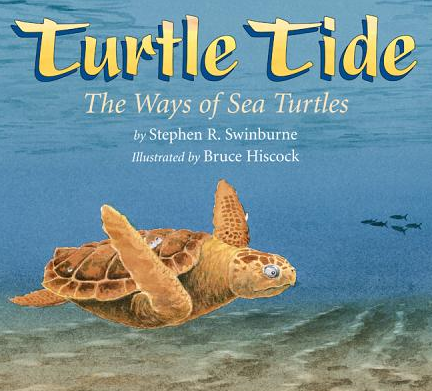 During the Author’s Progressive Dinner I had the pleasure of sitting with Steven Swinburne, creator of several wonderful nonfiction picture books including Lots and Lots of Zebra Stripes: Patterns in Nature and Turtle Tide: The Ways Of Sea Turtles . As he spoke with his guests about the creative process, he mentioned the importance of verb selection. When I asked why he had mentioned verbs rather than any other part of speech, he quickly replied, “The correct verbs are essential. Verbs are the motor which drives the sentence.” Now I’m thinking that I’m on to something. The following day I enjoyed a conversation with Steven Krasner, author of Play Ball Like the Hall Of Famers: The Inside Scoop From 19 Baseball Greats and Play Ball Like the Pros: Tips for Kids from 20 Big League Stars . 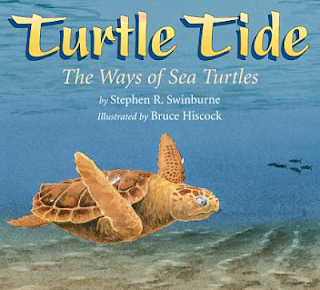 Through his Nudging the Imagination workshop, Steve explained, he creates stories with students on-the-spot in order to model the writing process. “A huge key,” he explained, “is helping them to find the verbs to really move the story.” Opening one of his picture books, he pointed out he crafted the precise, vivid verbs of the final draft during the revision process, replacing common verbs which served only as place holders in the early stages. Encourage students to examine verb choice in novels, poems, picture books, and informational texts. I choose existing mentor texts and rewrite excerpts using “common verbs” (or, as Krasner would call them, place holders). Students are then challenged to replace these with more precise or colorful verbs. Direct your students to consider verb choice in their own writing, and work to find action words that are more exact. As a start, outlaw there is, there are, there were, there was phrases. A better alternative always exists. As do exceptions. Remember the first line of Holes? Teach children how to use a print thesaurus or online reference source (such as the Merriam Webster dictionary or Wordnik) for assistance in locating more exact expressions. 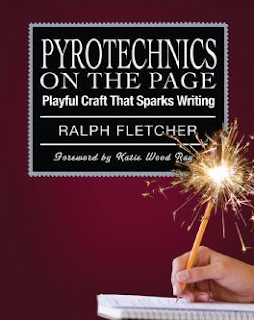 I am defining pyrotechnics as deliberate playfulness with language used by writers to create a particular kind of effect as well as the specific tools used to create that that effect. The term includes (but isn't limited to) puns, invented words, allusions, idioms, metaphors, similes, hyperbole, onomatopoeia, and alliteration. (A good deal of the text discusses sentence structure, which is key to complex and elaborated writing as defined by the Common Core standards). While at first these devices might seem like window dressing, realize this: your best readers can recognize these devices (even if not by name) and understand them in texts, which leads to improved comprehension. Therefore, giving students practice with literary devices in writing will not only make them better writers, but better readers as well. The purpose of a dinner party isn't merely to sate your guests' hunger - they could easily go to the local greasy spoon for that - but rather to take them on a gastronomic journey. Certainly you want the food to taste good, but it's much more than that You plan, prepare, and cook the food so that it has the proper texture, crunch, visual and flavorful variety. The spices should be in harmonious balance with each other. Writers know the same thing. If you want to make your writing memorable to readers, you must give them an aesthetic experience. In another section called Shimmering Sentences by Other Writers, he talks about how's he fascinated by writers who violate common ideas about usage, and get away with it. Not just get away with it, but produce stronger writing as a result! See Breaking All the Rules of Writing at my How to Teach a Novel site which discusses how author Andrew Clements does exactly that. ...Language play carries the huge cognitive benefit of helping children become more efficient language users. Many educators have pointed this out, including Vygotsky, who famously described a child's language as "a head taller" during play. Jerome Bruner said that "language is most daring and most advanced when it is used in a playful setting." And for those who prefer practice over theory, Fletcher includes a number of hands-on, ready-to-use-tomorrow resources here, including a Q and A section, craft lessons divided by grade level (K-5+), and a number of appendices which supply the teacher with loads of language exemplars, as well as recommended mentor texts. 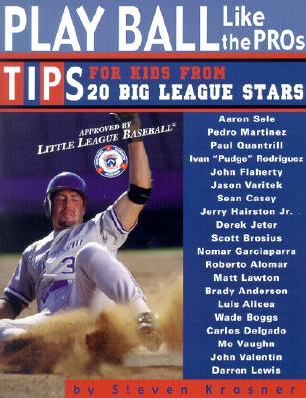 I can't recommend this book too highly! Preview it in its entirety online at Stenhouse Publishers and see if you don't agree! But buy it on Amazon, save the shipping, and support this site! I just wanted to let you know that our next Kid Lit Blog Hop is Wednesday, March 6th and we would love to have you back! I'm really enjoying exploring your blog. I can totally appreciate this. I also had a chuckle when you recommended kids to use a thesaurus, because to this day, I still use one myself! Sometimes you need just the right word that contains the proper connotations, kwim? Thanks, Katie, for the heads up. You can count me in! And Renee, I, too, am a lover of the dictionary and thesaurus. So many cool versions on line now.